Current owners of 2009 model Panasonic BD players (with VIERA CAST) automatically receive a free software update and can start downloading VOD titles once the player is registered with Amazon. 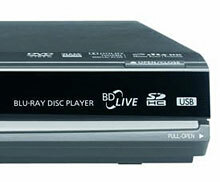 The VIERA CAST feature is available on the Panasonic DMP-BD60, BD70V, and BD80 models, as well as the portable B15 Blu-ray Disc player. VIERA CAST also provides access to YouTube, Picasa Web Albums, Bloomberg News and weather information. Amazon video-on-demand is also available on Panasonic VIERA Cast-enabled TVs, the Roku Digital Video Player, TiVo Series3, HD, and HD XL DVRs, and the Sony Bravia Internet Video Link. Check out Amazon’s list of HD movies available on-demand. Previous Previous post: Can California TV regulations hurt already troubled economy?